If you want a characteristic RL time constant of 1.00 s, and you have a $500 \Omega$ resistor, what value of self- inductance is needed? This is College Physics Answers with Shaun Dychko. 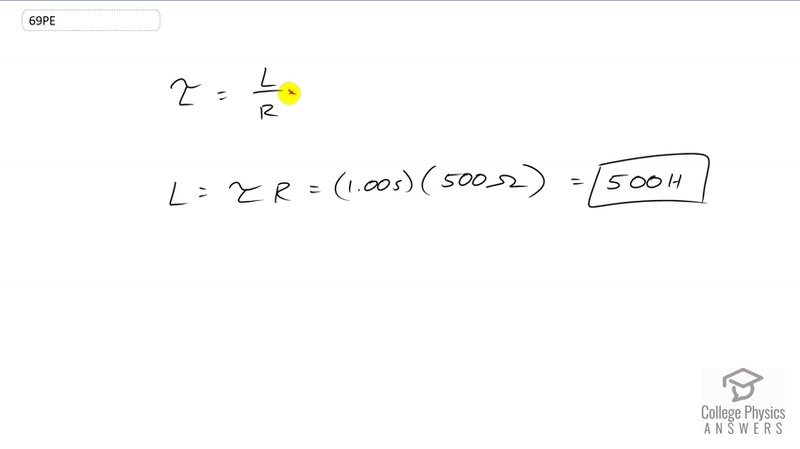 The characteristic time constant of an LR circuit is inductance divided by resistance and we can solve for L by multiplying both sides by R and we have L equals tau times R. So, that’s 1 second times 500 ohms which is 500 henrys.